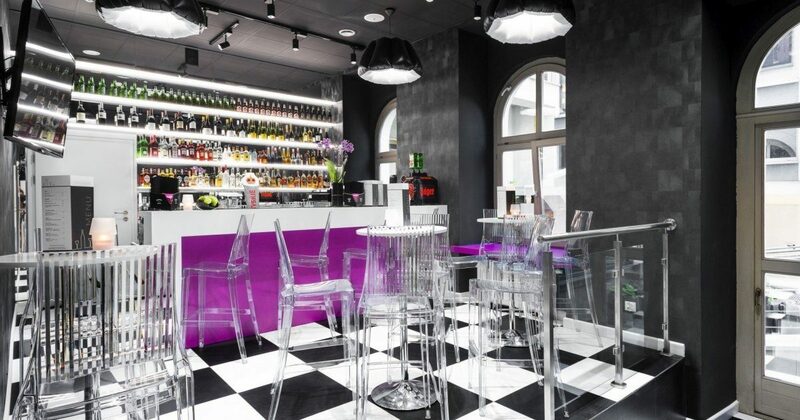 The atmospheric, modern designer bar is impossible to resist. A rich choice of alcohols will help you rest after demanding meetings or meet your friends "after hours". The bar, located next to the MidTown Restaurant, offers a wide selection of alcoholic beverages. The bartenders will be happy to acquaint you with new flavors, while the real connoisseurs will be able to enjoy the popular drinks. There is a direct access from the Bar to the summer garden, where you can spend time outdoors. In addition to liquors, we can also offer a wide selection of tasty desserts and other non-alcoholic drinks. We assure you that a glass of good whiskey tastes better in a restored, historic townhouse, which for decades has been a place where visitors experience the typical Cracow hospitality. The bar is open every day between 12:00 am and midnight.